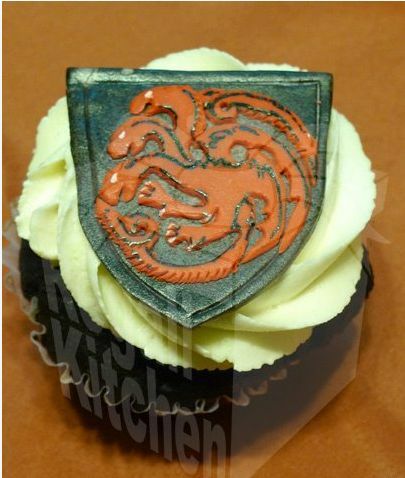 Your love of gritty fantasy and confections don't have to be mutually expensive. I usually don't give a crap about the cake decorating shows on the Food Network or Bravo. Making sculpture out of sugar just doesn't seem that exciting to me. 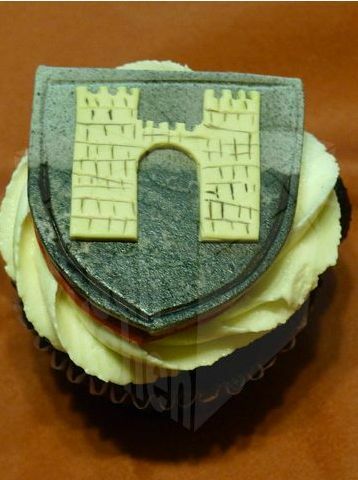 I mean, if you're going to spend so much time on it, why not use a material more permanent than fondant, especially since fondant doesn't even taste that good anyway? 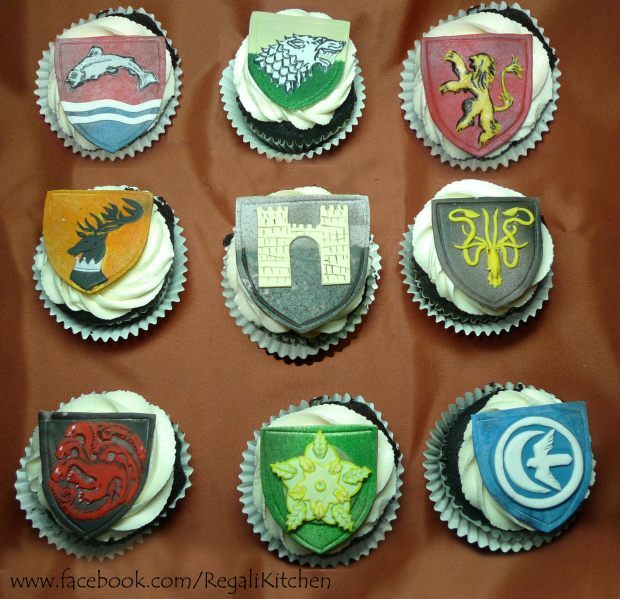 After seeing these Game of Thrones cupcakes created by the Regali Kitchen of Quezon City, Philippines though, I may change my tune. 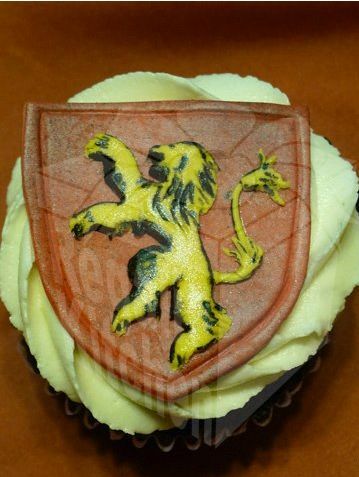 Cupcakes featuring the sigil of major houses in Westeros? Yes, please. 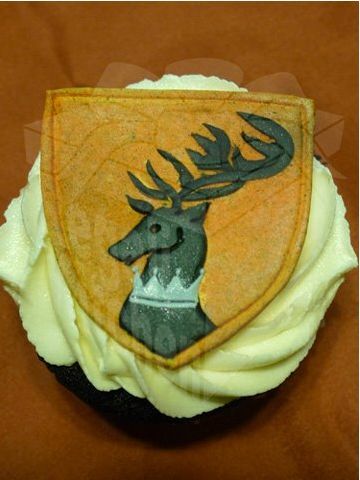 These tasty cupcakes are chocolate cakes featuring light caramel frosting and set with an edible topper. 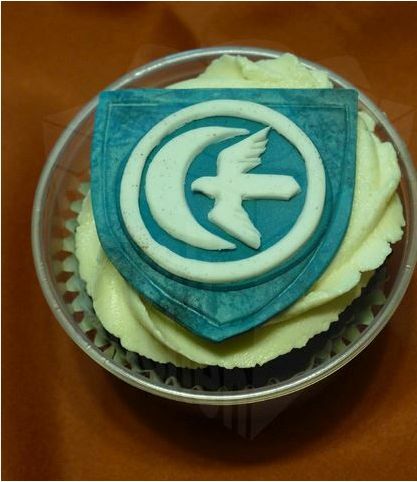 I'm not sure if the toppers were printed or not, but they certainly look hand-sculpted to have depth and detail. 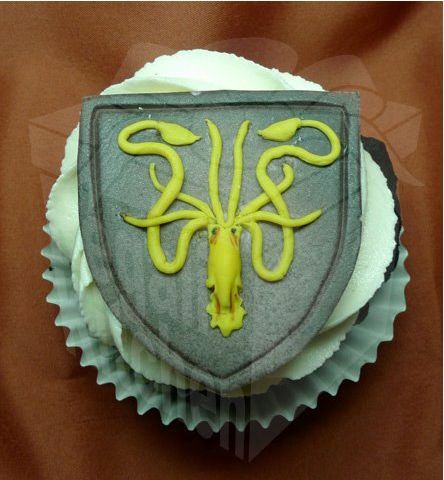 Just look at the tentacles of House GreyJoy's kraken symbol. That kind of meticulous work takes love! 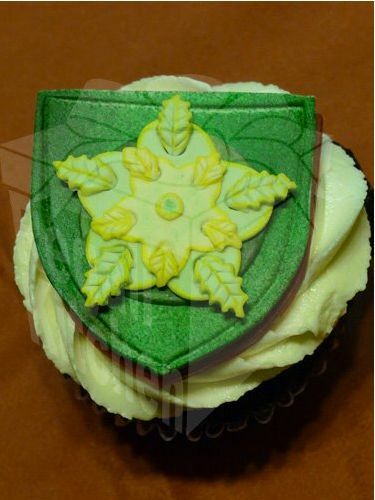 The Regali Kitchen has made some wonderfully nerdy desserts in the past, including Star Wars and Harry Potter cupcakes. Hell, Chefs JB Cada & Stephanie Santos have even made a tiered chocolate rum cake based on a customer's Dungeons & Dragons character. 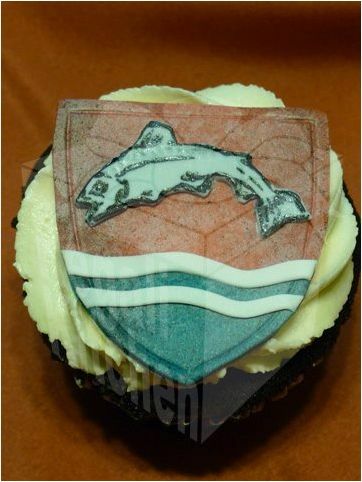 I don't know if Regali ships its cakes overseas from the Philippines, but if you want some wonderfully nerdy desserts made for your next event, you should try finding out. 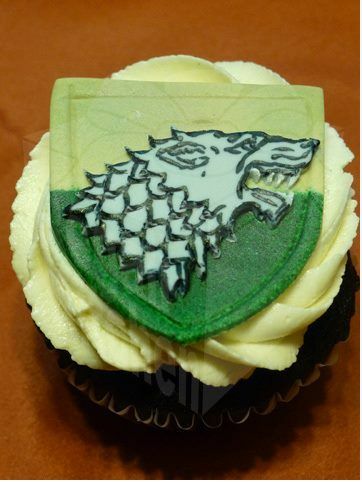 Well, at least now I know what I'm bringing to the season two premiere of Game of Thrones on HBO. Spring 2012 can't come fast enough! Thanks to ckeymel for the tip!